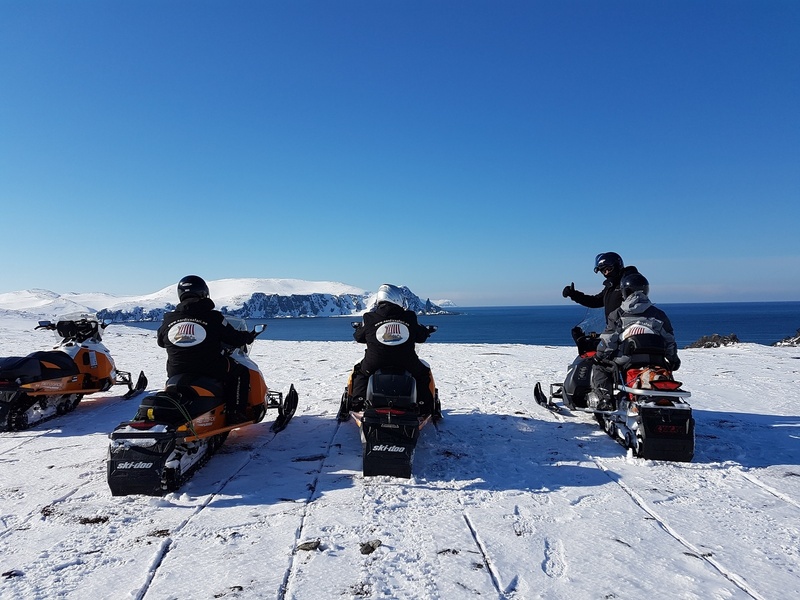 All about the Kirkenes – Finland – Mehamn – 6 days Expedition 11.03.2018 – 16.03.2018. 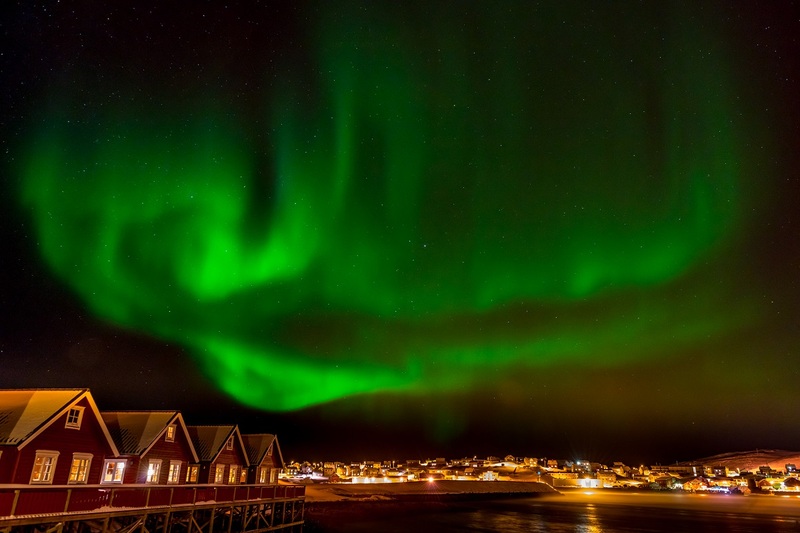 Enjoy the panorama view over the Barents Sea driving from Norway’s easternmost city Kirkenes, to the northernmost village Mehamn. 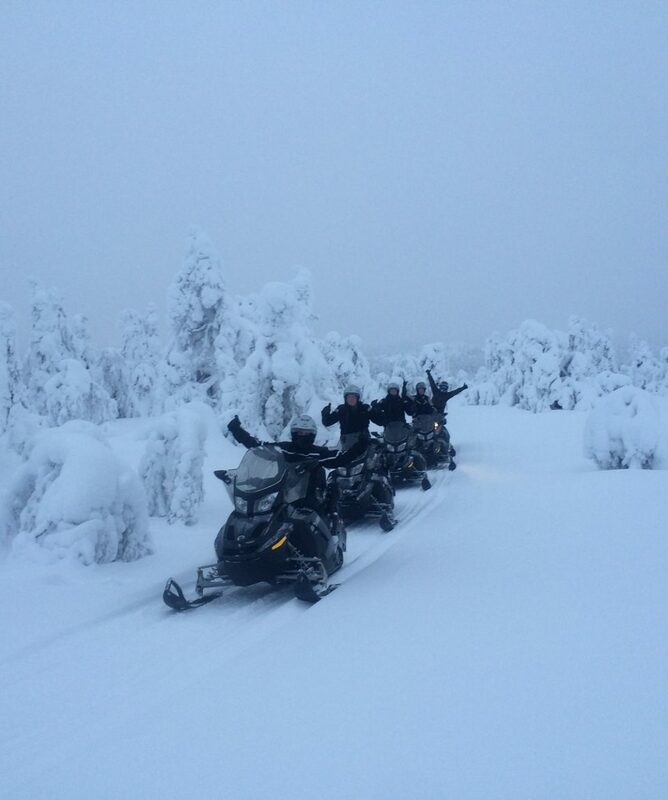 Experience this snowmobile expedition to the most extreme and exciting nature area of the European continent. 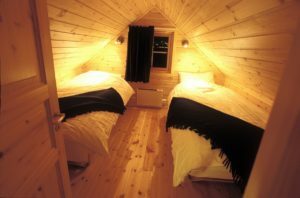 Overnight at “Adventure Camp Mehamn”, comfortable fisherman’s cottages – built on the seawater! 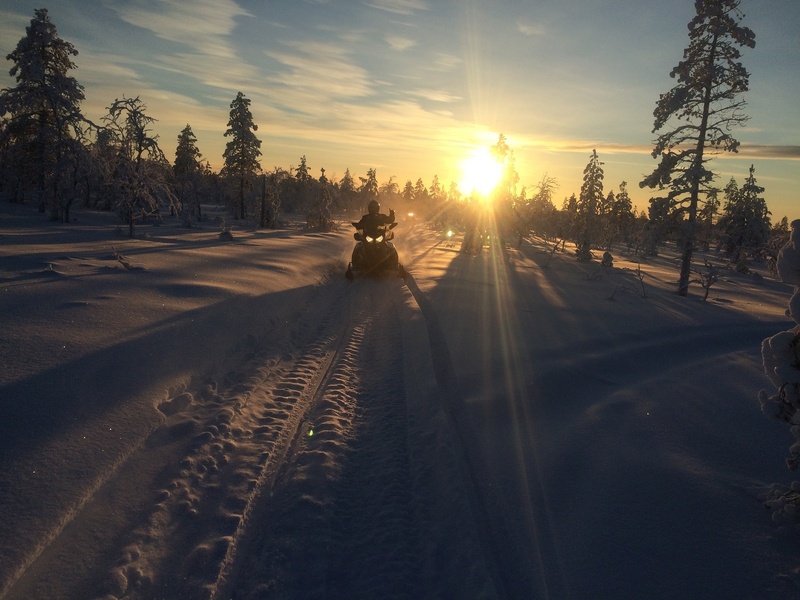 Snowmobile trails that crosses breathtaking panoramas you cannot even imagine. 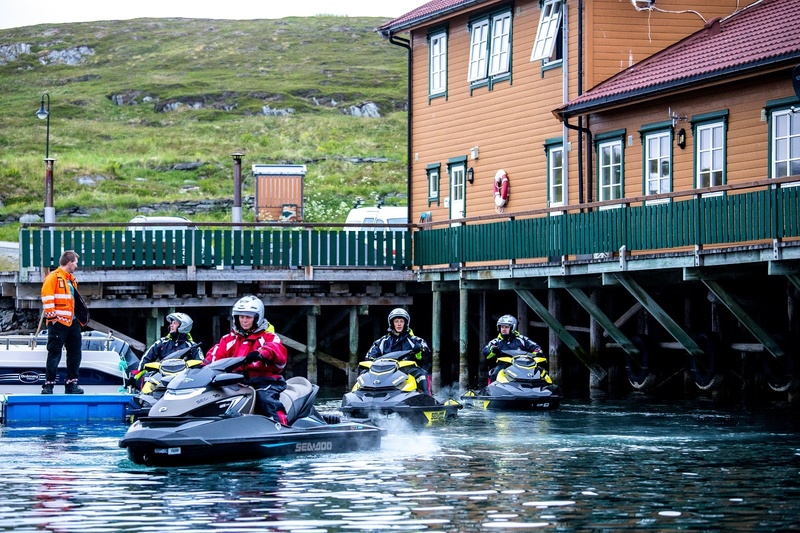 High mountains, deep canyons, and crystal clear blue arctic sea water when driving along the typical Norwegian fjords. 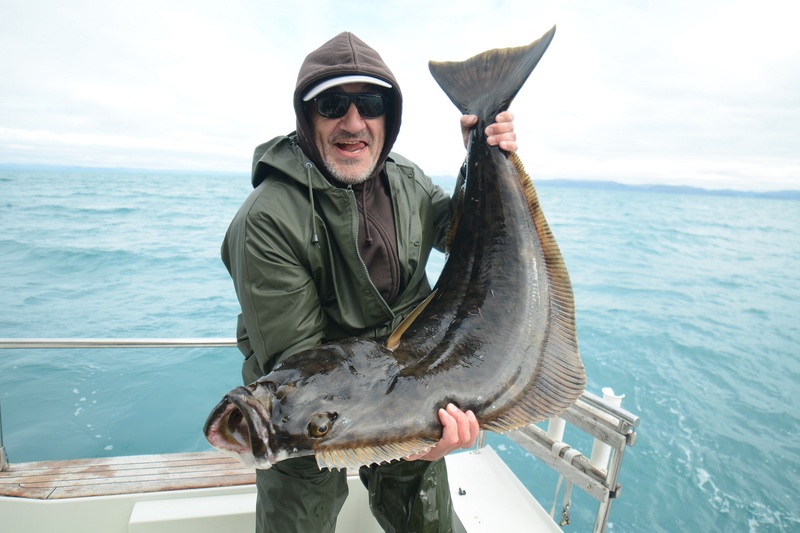 All these exciting adventures presented and guided by Vidar the Viking, local Norwegian guide living in Mehamn, the northernmost fishing village of the world. Arrival by flight to Kirkenes airport. Transfer by minibus to the village of Neiden situated 15 km from the finnish border. Meeting our local guide from Nordic Safari Wildlife Adventures. Welcome dinner. Tactical briefing about the coming days expedition. 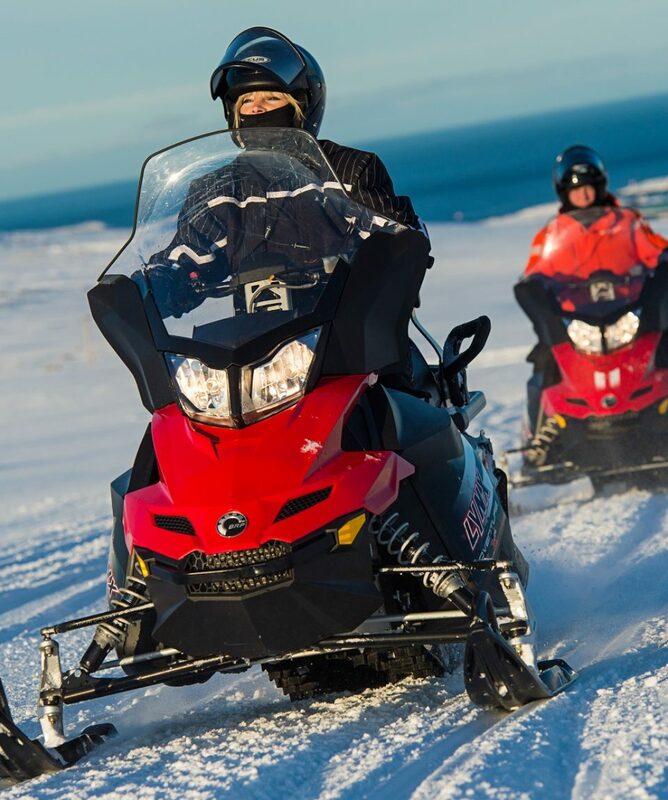 Short snowmobile driving & safety course. 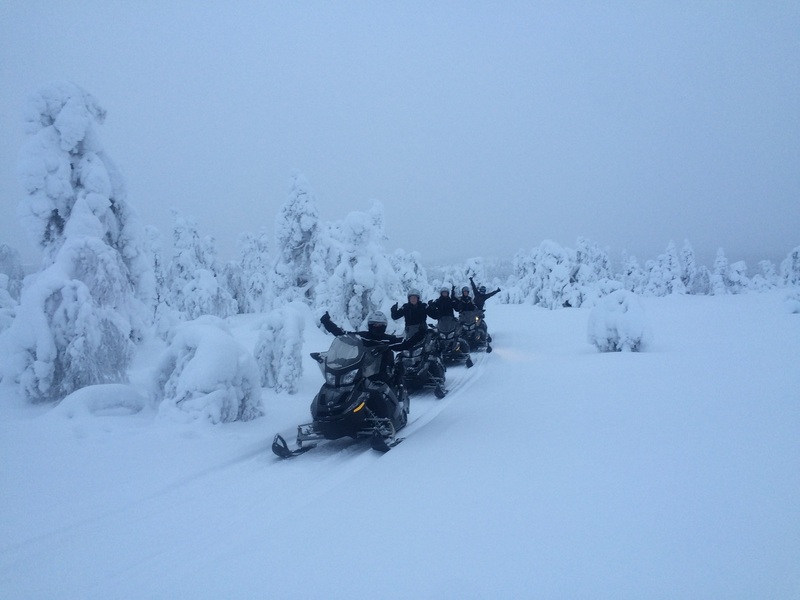 We are starting out, driving 1 person on each snowmobile 10 kilometres to the border crossing to Finland. 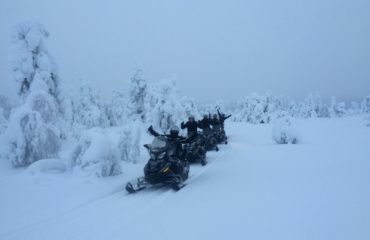 We are driving through the deep snow and forest area of North Lapland to the small village of Sevettijärvi. After lunch we start crossing the enormous inland sea – Lake Inari. Driving through Finnish forest and frozen lakes to Kaamanen guesthouse. 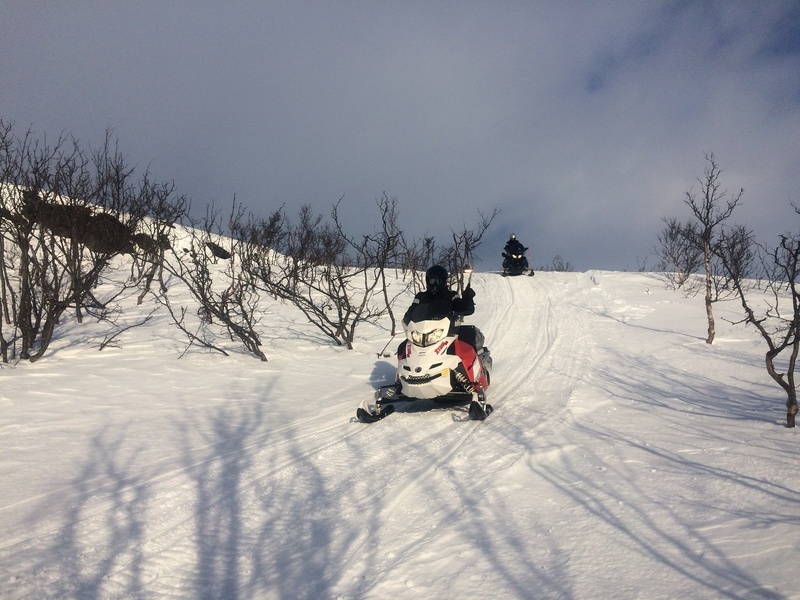 Starting out, heading for the Norwegian border at Nuorgam village. On the way we are driving through the reindeer area of the Finnish sami people. Outdoor lunch at forest cottages on the way. 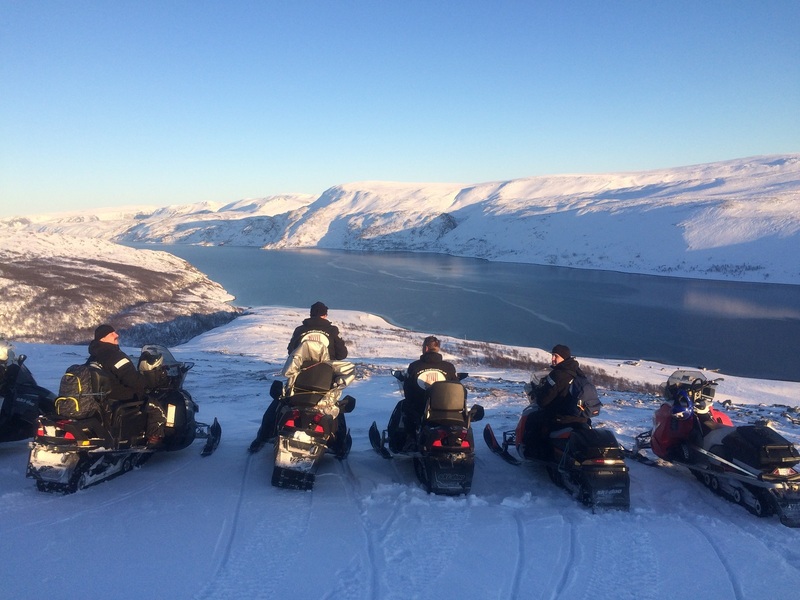 Arriving at Nuorgam village, refuelling the snowmobiles. 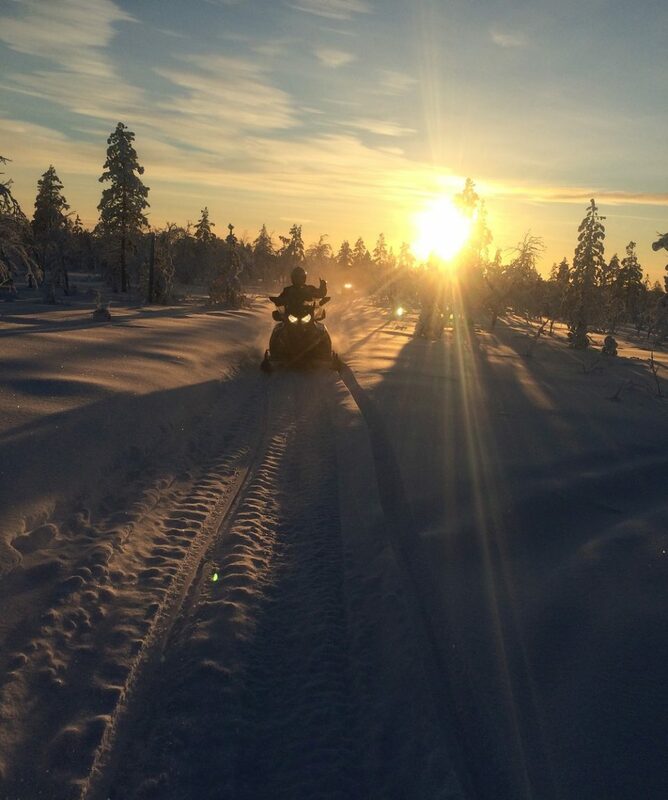 Start driving through the Norwegian sami district, riding over the Ifjord Mountains – the white desert! White planes without vegetation as long as your eyes can see! Outdoor Lunch by the campfire. 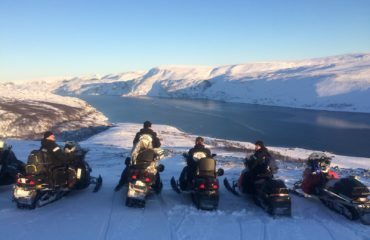 Driving Down along the frozen Laggo River – enjoying the panorama view of the first Norwegian fjord, Langfjorden. 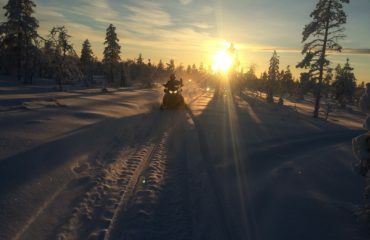 Driving high speed over the long planes of Nordkyn mountains. Descending down to sea level again at Hopseidet – the small piece of land that connects the Nordkyn peninsula to the mainland. Fjords on both sides. Climbing up the mountains at the other side and riding along high speed tracks to Mehamn fishing village. Checking in at Adventure Camp Mehamn situated at the peninsula by the harbour. Sauna and seafood dinner based on local traditions. Overnight in comfortable fishermans cottages. Driving along the exciting trails of Nordkyn peninsula. Sightseeing Slettnes lighthouse – Panorama view over the Barents sea. Coffee break at the lighthouse. Driving along the crystal blue seawater of Risfjord. High speed driving along lake Koifjord. Crossing over to the west side of the peninsula, down the canyons to Kjøllefjord fishing village, lunch and returning to Mehamn along the high mountain tracks. Sauna and celebration dinner. 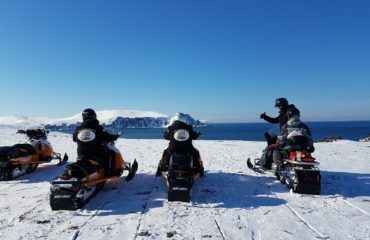 Driving the snowmobiles to the Coast express ship at the port of Mehamn. Checking in at the Hurtigruten reception for a cruise full of adventures along the Norwegian coastline back to Kirkenes. Day distance: 100 – 150 km. Arriving Kirkenes Harbor at 09:00. Thank you for the expedition and welcome back again! 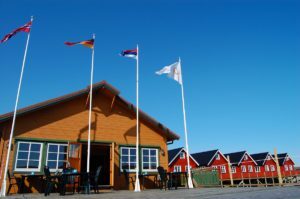 The Adventure Camp Mehamn is located on the Holmen peninsula just across the Harbour of Mehamn fishing village. 800 metres from Mehamn Airport. 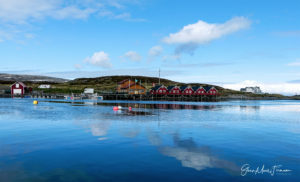 We can offer 5 high standard Rorbu Fisherman Cottages with 3 bedrooms , each one With 2 single beds, complete equipped kitchen with dishwasher, living room, wifi, flatscreen tv, wc/bathroom, entrance hall, Separate Storage and drying room for outdoor Equipment / clothes. In our room department we offer 5 rooms with a shared kitchenette, showers /wc. 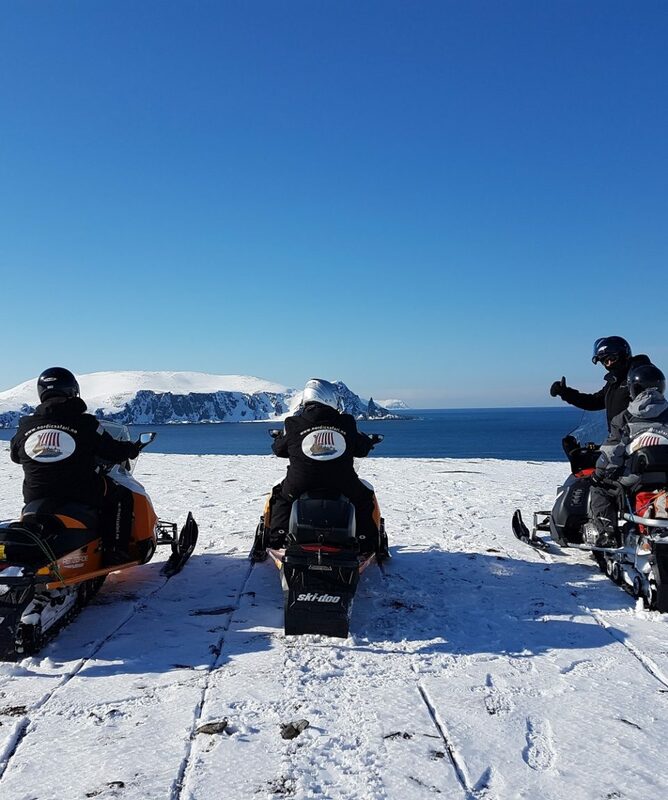 Facilities for outdoor wilderness adventures all year around in a relaxing atmosphere with a panoramic view over the village of Mehamn and the Barents Sea.